“Digital inclusion” is a big buzz word at the moment,” Marilyn Slavin, director of the CK UK website tells me. She is filming an interview for the My Brilliant Moment series on Media Trust’s Community Channel and she is concerned that many of those involved in trying to make the internet and all its devices more accessible are not looking carefully enough at what’s on their websites and how it’s written. “We’ve been doing digital inclusion since 2004 and it should be further on. 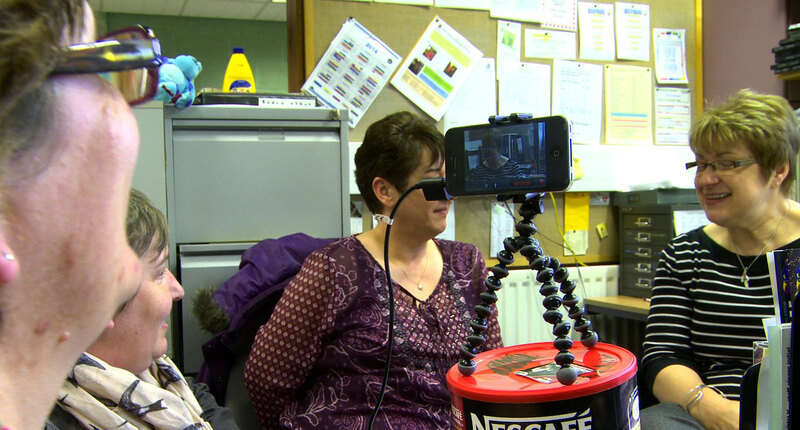 “One of the reasons that I’m doing this film, talking to this camera, is to encourage more people to get involved and make their websites accessible, because if you make it accessible for people with learning difficulties then it covers a lot of other people: people whose first language isn’t English, people who have got literacy issues. Marilyn’s comments were a wake-up for me. 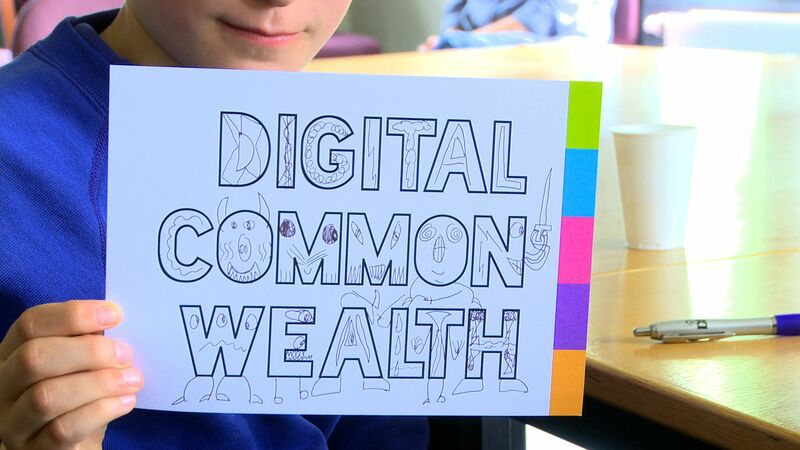 I had just returned to a near-normal schedule of work after a knackering, but massively rewarding, trip to Orkney and the far north of the Scottish mainland in a final round of training workshops with the Digital Commonwealth project. Watch this space for an extended report on the road trip and the wider project in a forthcoming edition of Media Trust’s #Brilliant Scotland programme. The focus of much of this training work is on how to get the best pictures and sound using low budget equipment. In the case of these Digital Commonwealth workshops, that usually means smartphones and tablets – sometimes with the help of catering-size coffee tins, as we found during one training session hosted at the Orkney Library in Kirkwall (below). The library has near-legendary status among book people for the breadth of its social media following and especially its presence on Twitter, so it was great to get a chance to visit the place and to meet such enthusiastic and committed people. But Marilyn’s comments highlighted to me that training is only one part of opening digital access to wider groups across Scotland. Speaking at this month’s DigiScotFest2014 event in Edinburgh, Michael Fourman, chair of the Royal Society of Edinburgh’s landmark inquiry on digital participation, said “we have to start with the hardest places,” when it comes to digital inclusion. One strong message from what I heard at the DigiScotFest was that this has to include those with all kinds of special educational needs as well as remote rural areas and Scotland’s austerity-hammered housing schemes. 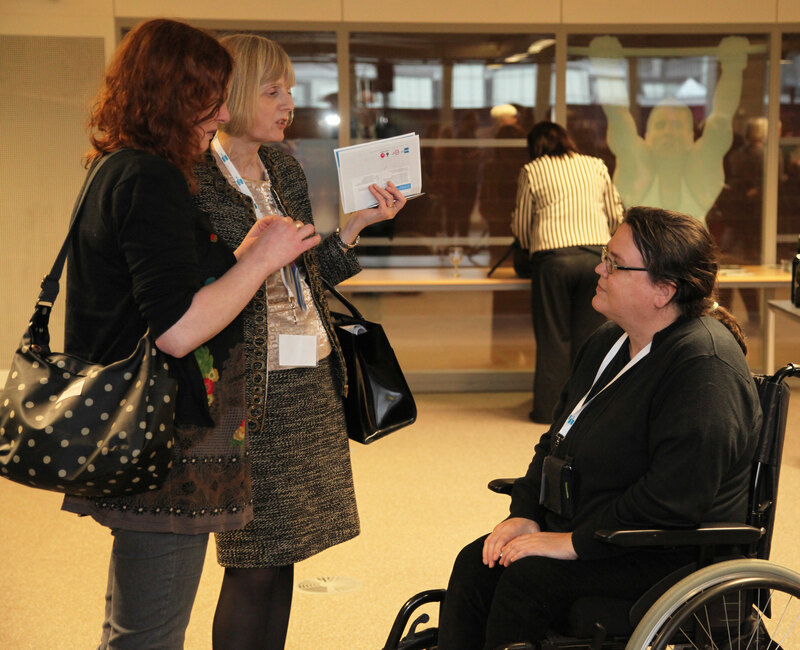 For Marilyn Slavan, there has been poor progress so far on digital inclusion. “People with learning difficulties are customers, clients, they’re people that could attract organisations and they have got spending power, too. “So a lot of organisations are missing out. Media Trust’s My Brilliant Moment series is an outlet for groups or projects to speak directly to the audience about what they do, what motivates them and how they hope to make a difference to those around them. The series is one feature of our Big Lottery Funded project Do #SomethingBrilliant, which gives charities and community groups a way of amplifying their message through programmes on the Community Channel (which has recently had more than 2m viewers a month), but also via the website, fortnightly newsletter and the Community Newswire, run by MT and the Press Association. Groups can also send their calls to action to the Little Brilliant Things pages, which are an opportunity to encourage people to get involved in campaigning for change.